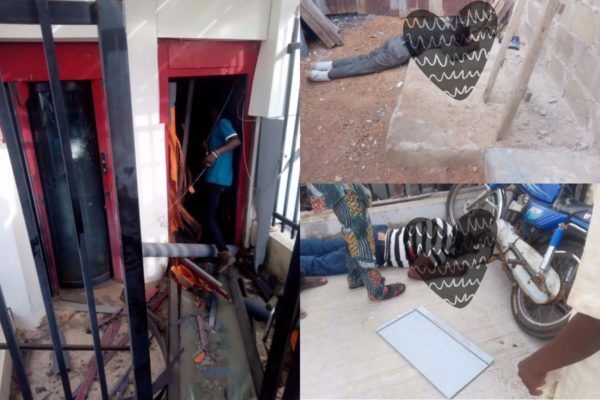 It has also been revealed that one of the victims of last Thursday’s Offa robbery was a pregnant businesswoman, identified as Omilola Korede, who had gone to lodge a complaint over a transaction in one of the banks. She had also reportedly gone to the bank with her 4 year old son because she had no one at home to take care of him in her absence. When the robbers came, they sprayed this woman and her son with bullets. Three other women who lost their lives to the attack have also been identified as Bunmi Mesan, Iya Muji and another one popularly called Mama the Big Club. “My brother, it is not something to recall or witness. I don’t even pray it for my enemies. It was a terrible moment with death looking at us; I still can’t talk much about it”.